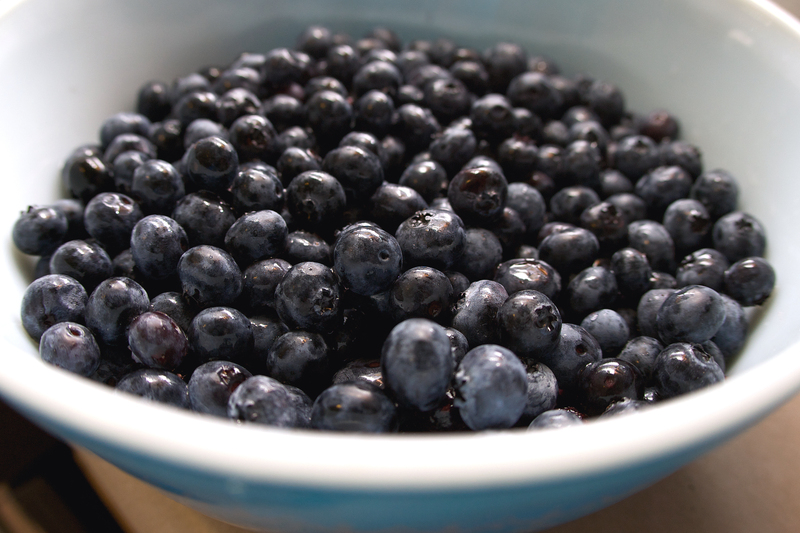 Rinse off blueberries and sprinkle the remaining ingredients on top. Mix well and set aside. 5. When the dough is moist enough to hold together when you squeeze it, transfer it to a piece of wax or parchment paper. 6. Fold the dough over on itself three or four times to bring it together, then divide it in half and pat it into two disks 3/4″ thick. One for the bottom of the pie and one for the top. 8. Lightly grease a 9-inch pie pan that’s at least 2 inches deep. 9. Spoon the filling into the pan. 10. Roll out the remaining pastry to an 11″ circle. Cut decorative vent holes, if desired. Carefully place the pastry over the blueberries. 11. Preheat the oven to 425°F. 12. Roll the overhanging bottom crust up and over the top crust, pinching to seal the two. 13. Flute the edges of the pie. 14. Place the pie on a baking sheet. 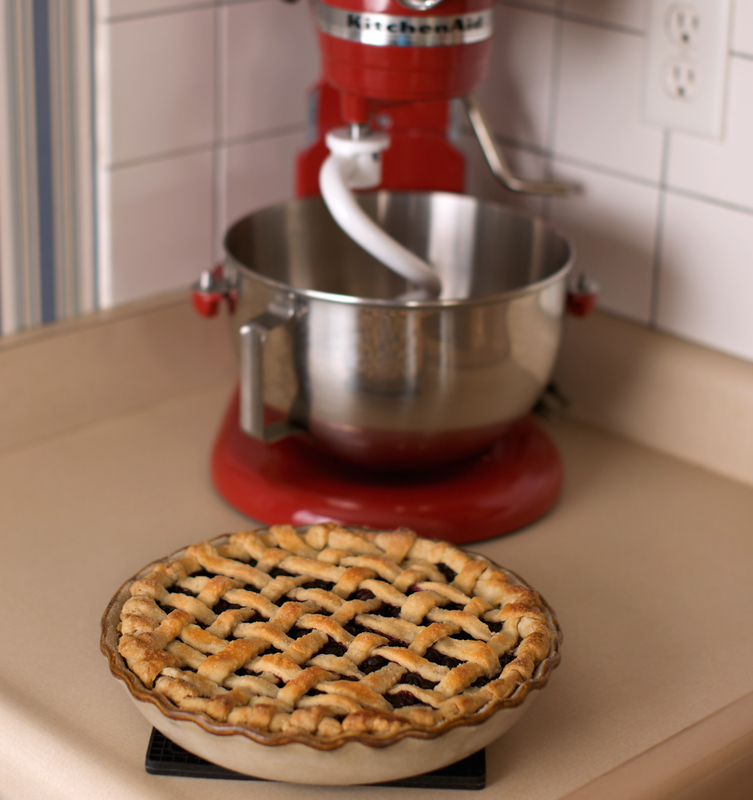 Bake the pie for 20 minutes at 425°F, then reduce the oven temperature to 375°F and bake for 40 minutes more, until you see the filling bubbling inside the pie. Check the pie after half an hour of baking time, and cover the edges with foil or a pie shield to keep them from browning too quickly. YUM! Now go get some vanilla ice cream! 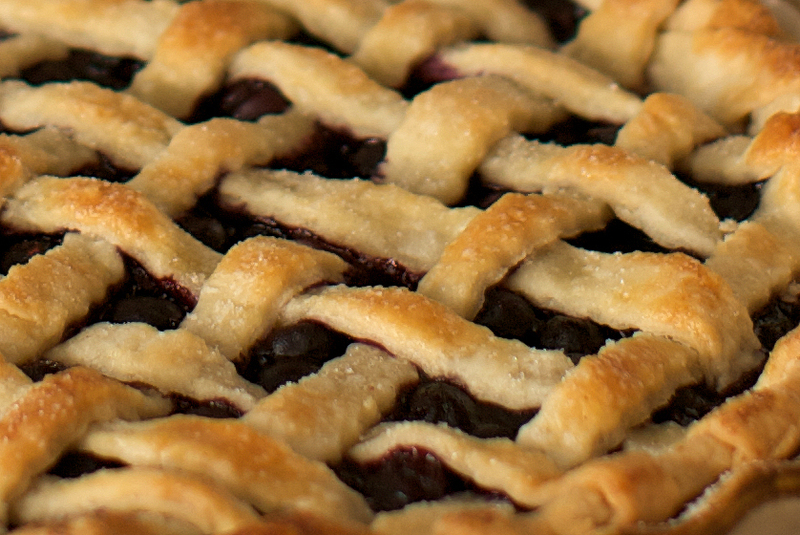 This entry was posted in Uncategorized and tagged blueberry pie, dessert, food, pie. Bookmark the permalink. That looks so yummy, I bet the whole house smells like Blueberries. I will have my slice with a scoop of ice-cream and a Latte, please.